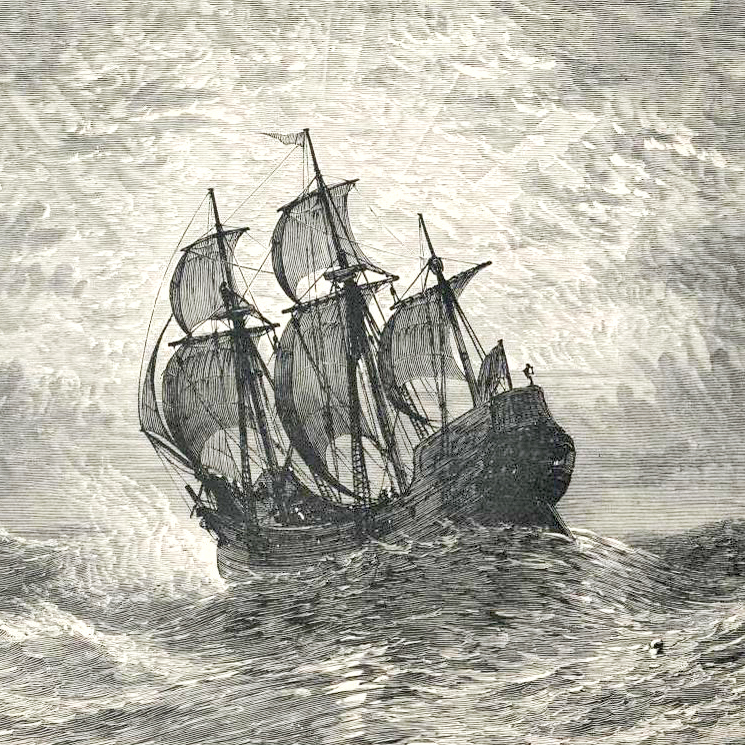 Thomas Rogers came on the Mayflower in 1620 to Plymouth, Massachusetts. He was from Watford, Northampton, England, son of William Rogers and Eleanor. Thomas Rogers became a citizen of Leiden, Holland, on 25 June 1618 with sponsors William Jepson and Roger Wilson, and is called a Camlet merchant. And just two years later, on 1 April 1620, he sold his house on Barbarasteeg in Leyden for 300 guilders before coming to America on the Mayflower. Thomas Rogers brought his son Joseph on the Mayflower. He died the first winter, but his son Joseph survived. William Bradford in his 'Of Plymouth Plantation' writes of Thomas Rogers: "the rest of Thomas Rogers' [children] came over and are married and have many children." Of that first winter William Bradford also wrote "That which was most sadd and lamentable was that in two or three months time halfe of their company dyed, espetialy in January and February, being the depth of winter, and wanting houses and other comforts; being infected with the scurvie and other diseases, when this long voyage and their inacomodate condition had brought upon them; so as ther dyed sometimes two three of a day, in the foresaid time; that of one hundred and odd persons, scarce fifty remained . . . "
In the 1622 poll tax for Leyden are listed his wife Elsgen (Alice), and daughters Lysbeth (Elizabeth) and Grietgen (Margaret), and son John. John Rogers is known to have come to America and married, but unfortunately the whereabouts of Elizabeth and Margaret remain unknown, though William Bradford suggests they came to America and married. All of his children were baptized and/or buried in Watford.